With things hotting up and our line-up for the second quarter of this year really starting to come to fruition, we wanted to pause for a brief moment and take a look slightly further ahead to one of our forthcoming titles for Q3 2019 that we've been keeping under wraps until now. 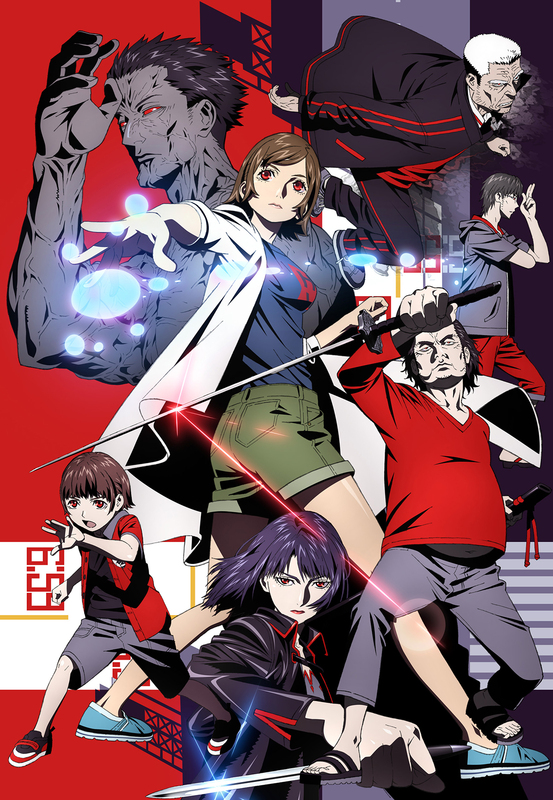 It is, however, a TV anime series that we're all very excited about and simply can't wait to bring to the UK for you to enjoy for yourselves, and the series in question is Kokkoku! Based on the dramatic horror manga of the same name, Kokkoku: Moment by Moment - published in the west by Kodansha Comics - this twelve episode series sports character designs and ending credit direction from Yasuomi Umetsu, an iconic name in the industry best-known by many as the director of Kite. 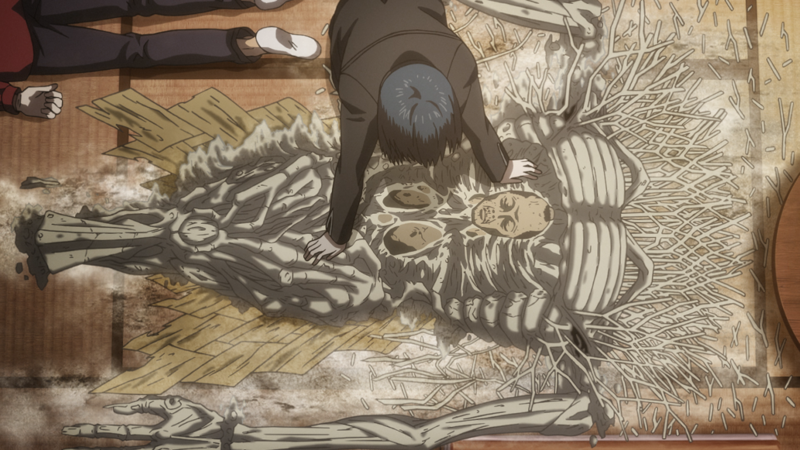 The series is directed by Yoshimitsu Ohashi and animated by Geno Studio (Golden Kamuy, Genocidal Organ). 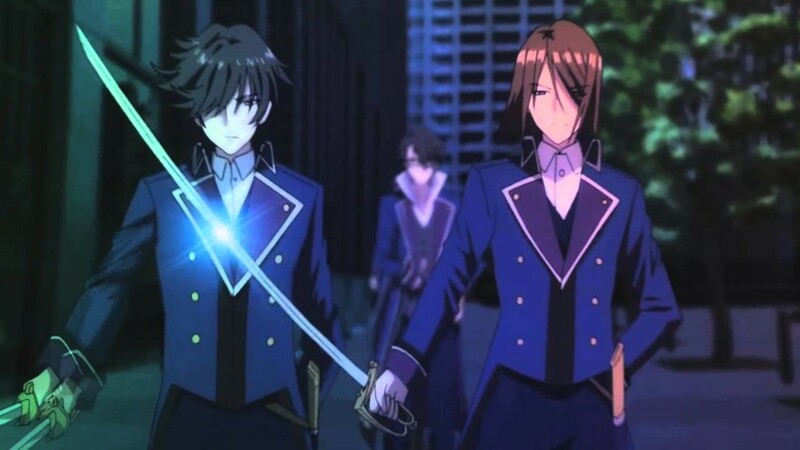 Synopsis: "Juri Yukawa needs a timeout from her life. She's failed 19 job interviews, she's stuck living with her crazy family, and her chances of escaping to a life of her own are becoming increasingly remote. Suddenly, all of that becomes unimportant when her brother and nephew are kidnapped and held for an impossibly high ransom. That's when Juri's grandfather reveals an incredible secret: a mystical stone that allows Juri, her father and her Grandpa to enter the state of Stasis, where everyone else in the world is frozen in time! That should make rescuing their family easy, right? Wrong, because there's a sinister organization working against them who also can literally beat the clock!" 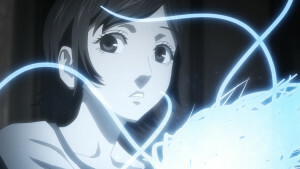 As you might expect, we'll be bringing Kokkoku to home video in the UK in our traditional Collector's Edition form, as a Complete Series Collection sporting a rigid case, a Digipak containing the series across two discs, a poster featuring a piece of key artwork from the series, and a set of five art cards. Our work on producing this edition is already well underway, so expect to see this Collector's Edition arrive on store shelves during Q3 of 2019. We'll be able to share how our Collector's Edition looks very soon, but for now we hope you're ready to be shocked and thrilled by this tremendous series upon its release - even if you don't have the ability to freeze the world around you, we promise that it's still well worth your time! 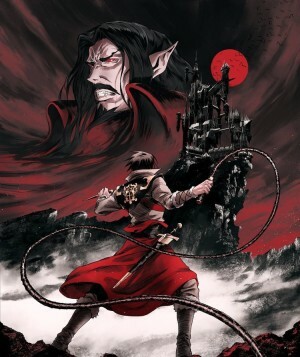 A little while ago we caught some of you completely off-guard when we announced we would be bringing the first season of the hit Netflix animated series Castelvania to Blu-ray! We appreciate it's been a bit of a wait for any more news on that, but the time for waiting is over as today we're here to split some heads and cast out some demons as we tell you what to expect from our upcoming Blu-ray Collector's Edition Blu-ray release of Season 1... oh, and you can pre-order it right now too! WHEN'S IT OUT? WHERE CAN I BUY IT? 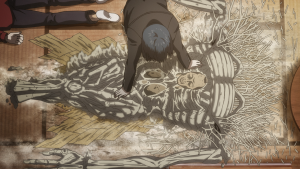 Today we can confirm that our Blu-ray Limited Collector's Edition release will be arriving on 13th May 2019 and will be available to purchase exclusively through Zavvi.com and AllTheAnime.com. Can't wait to buy it? Well you don't have to, as pre-orders are now open at both retailers for this edition! Our Limited Edition Blu-ray set will, as per our Collector's Edition tradition, come packed in a rigid case case - inside that you'll find a fold out digipack that holds the Blu-ray disc. But that's not all - with so much fantastic artwork on show within this series, we've collected a wealth of it into a 92-page art book featuring character designs from the series, monsters and background art aplenty. It's exactly the kind of definitive collection of material you've come to expect from us and we haven't let you down - if you want to know what character feature caused the designer to apologise to the animation team for making their lives difficult, this is where you'll find it! 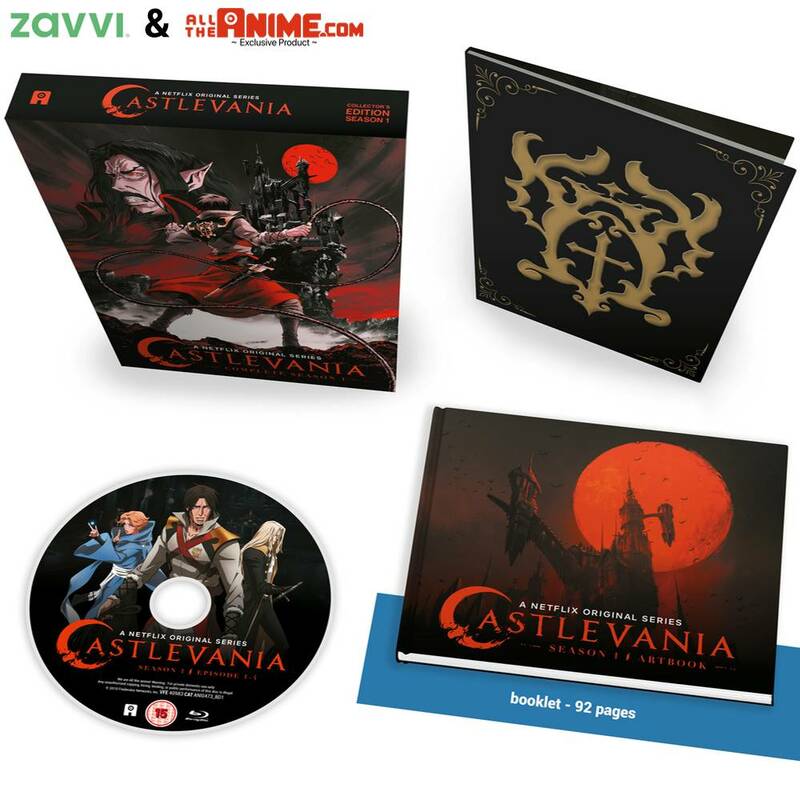 Last but not least, on the disc itself you'll get the entire first season of Castlevania (all 4 episodes) with English audio and optional English subtitles; in addition to that you'll also find some bonus features in the form of storyboards and production animatic galleries. And there you have it folks! 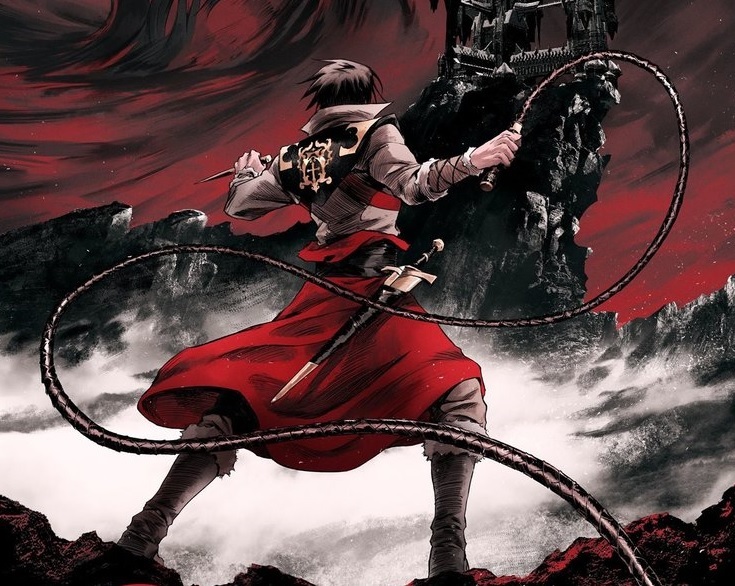 Castlevania season 1 comes to Blu-ray very soon! We hope you're looking forward to adding this to your collection on May the 13th, and if you are then don't forget to place your pre-order using the links above!